Having opened in 2016, its already a firm favourite for Sheffield student accommodation. Slap bang in the heart of the city, it’s only a short walk away from the University of Sheffield and Sheffield Hallam University. 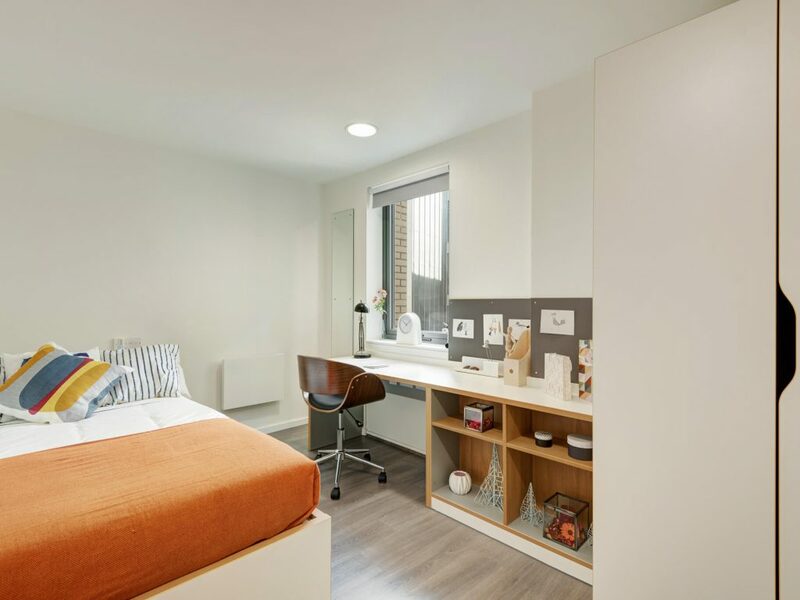 All our usual fab features set in a roomier setting – with a small double bed alongside the en-suite shower room, ample storage and sharing a kitchen/living room between 5-7 students. It’s so easy to feel at home here whether you opt for your own studio or share an apartment. Whichever room style catches your eye, they each have a small double bed, plenty of work space and loads of storage. 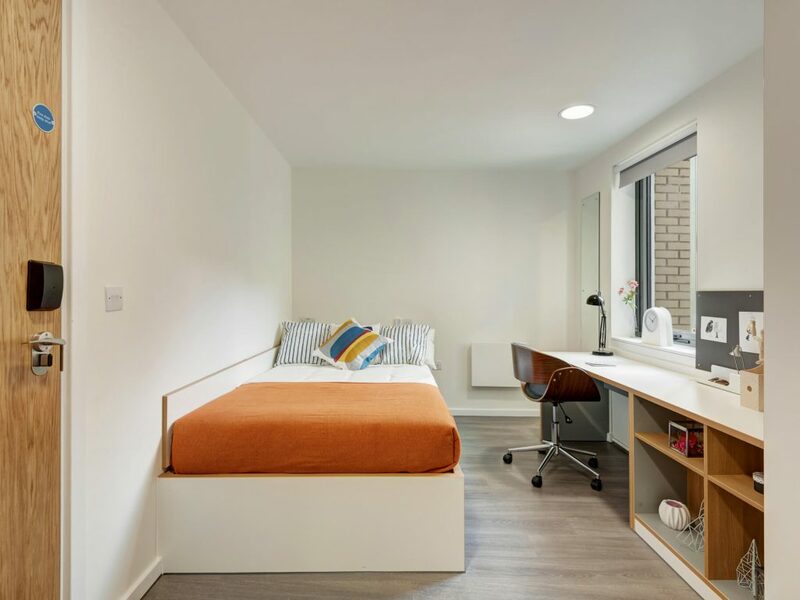 The one and two bedroom flats share the stylish kitchen areas and bathrooms; studios embrace open-plan living with adjoining en-suite shower rooms and if you have your own en-suite room in an apartment, then you’ll have a shared kitchen/diner to enjoy with your flatmates. Check out the games room, quiet study area and outside courtyard. And if you do opt for a studio – all are priced per room so if you want to live as a couple you have no extra rent to pay!